May 14, 2014, 1:56 p.m.
We write a lot about how news organizations are trying new tactics and tools to do better work online. Many of those are national or global giants like The New York Times or The Guardian, but plenty of local outlets are doing innovative work too. But just as publication bias can lead scientists to write more about the positive results they find, it can also be easy to overlook what the great middle class of local news publishers are doing. Or not doing. A new report from the Reporters’ Lab at Duke emphasizes that for every Texas Tribune or WNYC experimenting online, there are dozens and dozens of other newspapers and broadcasters who don’t have the resources or newsroom culture to take advantage of all the digital tools they could be using. The report’s authors compared it to the now-famous refrain of the wealthiest elite vs. the 99 percent: “We don’t believe the actual disparity is that great, but it probably isn’t too far off, given the realities of newsroom staffing,” they wrote. — Many U.S. newsrooms are not taking advantage of the emerging low-cost digital tools that enable journalists to report and present their work in innovative ways. Editors and producers cling to familiar methods and practices even when they know better, more engaging digital alternatives are available, often for free. — Journalism awards and well-attended conferences create a sense that the adoption of data reporting and digital tools is broader than it really is. But there is a still significant gap between the industry’s digital haves and have-nots — particularly between big national organizations, which have been most willing to try data reporting and digital tools, and smaller local ones, which haven’t. — Local news leaders often cite budget, time and people as their biggest constraints. But conversations with more than 20 senior editors and producers also revealed deeper issues — part infrastructure, part culture. This includes a lack of technical understanding and ability and an unwillingness to break reporting habits that could create time and space to experiment. One of the organizations profiled was WTOP, a leading commercial news radio station in Washington that has a successful web presence, but hasn’t been able to pursue new types of reporting online. But what about digital tools — the kind that make it easy for journalists to mine and present government information, sift and analyze social media, crunch massive amounts of data, generate maps and charts, and share reams of source documents? The technologies that have helped distinguish digital journalism from print and broadcast play little role in the big news station’s reporting — on any platform. There are countless ways for news organizations such as WTOP and its successful offshoot, Federal News Radio, to tap into data to provide valuable programming for listeners and users, especially in Washington’s lucrative government market. The stations could find stories in government contracts or salaries, or reporters could use (and make available online) census or economic information that would add depth to their coverage of the D.C. area’s traffic woes, transportation issues and sprawling development. 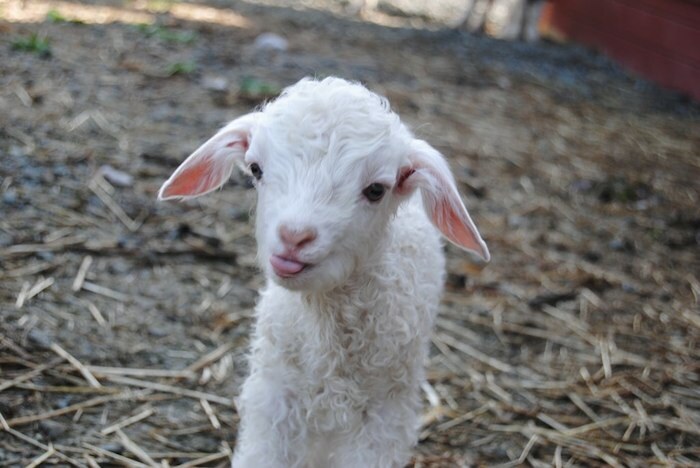 Photo of a baby goat by Susan Gibbs used under a Creative Commons license. Lichterman, Joseph. "Why aren’t local newsrooms innovating digitally? Because the goat must be fed." Nieman Journalism Lab. Nieman Foundation for Journalism at Harvard, 14 May. 2014. Web. 20 Apr. 2019. Lichterman, Joseph. "Why aren’t local newsrooms innovating digitally? Because the goat must be fed." Nieman Journalism Lab. Last modified May 14, 2014. Accessed April 20, 2019. https://www.niemanlab.org/2014/05/why-arent-local-newsrooms-innovating-digitally-because-the-goat-must-be-fed/.